Hysab Kytab : Expense Manager by Jaffer Business Systems (Pvt.) Ltd.
by Jaffer Business Systems (Pvt.) Ltd.
Do you feel that your money doesn’t linger with you? Or you feel money management is an enigma that you can’t solve. Hysab Kytab is your ultimate savior. 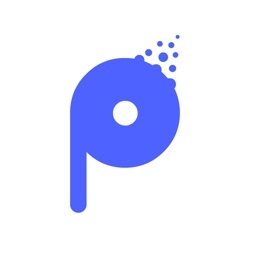 It’s a multi-dimensional app. 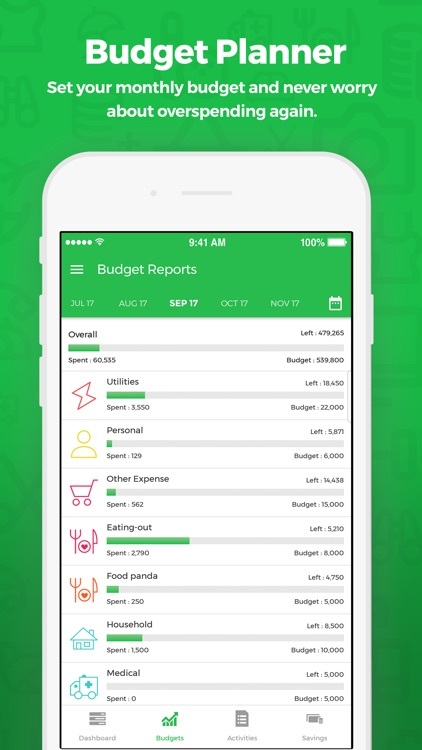 it record, track, and prepares monthly budgets to keep your finances up. 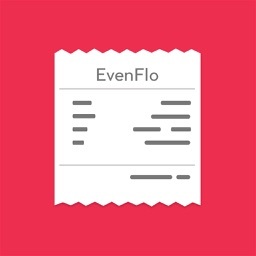 It can be your expense tracker, budget manager and saving planner. Hysab Kytab covers all areas of personal finance. 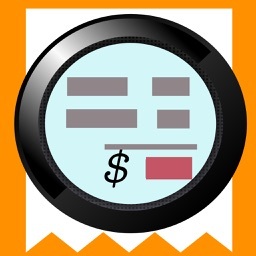 “Hysab Kytab - Budgeting, Expense & Savings Tracker” works as a junction for all of your personal financing activities. Hysab Kytab is a complete package that keeps all of your finances at one place. 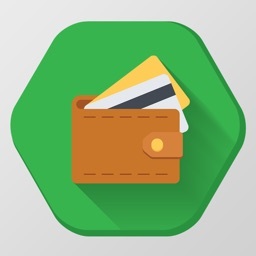 It develops a simple understanding of spending pattern and money behavior. 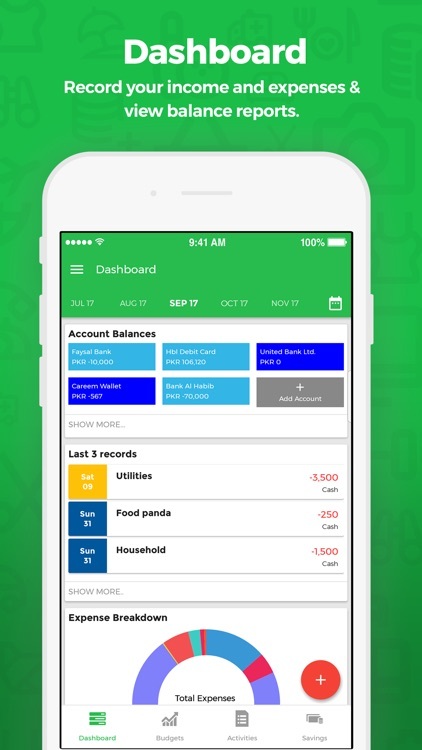 A user friendly app that allows you to add and oversee all of your daily financial activities. With Hysab Kytab you can easily curb your finances. 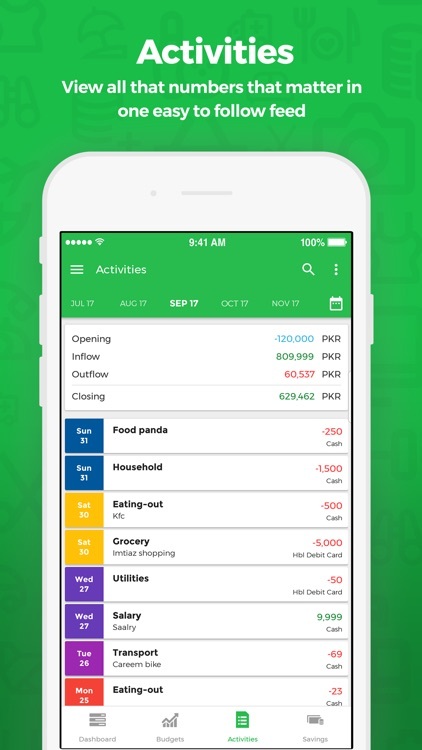 “Hysab Kytab - Budgeting, Expense & Savings Tracker” lets you keep a track of your regular personal expenses and also helps you view report for your spending pattern with different breakdowns. 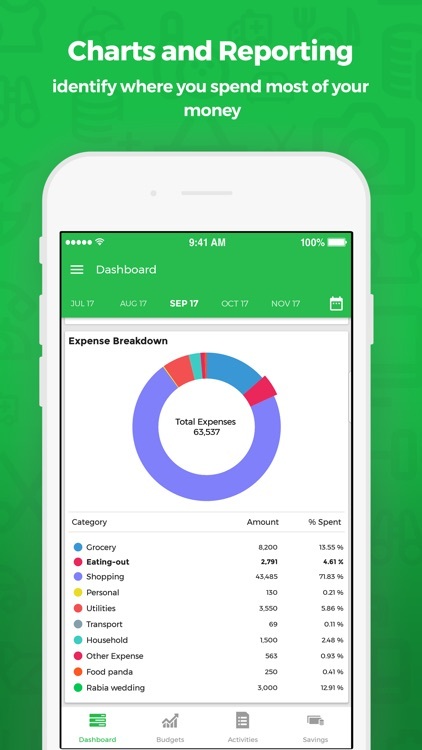 You can view charts to analyze your spending pattern and reduce your spending. “Hysab Kytab: Budgeting, Expense & Savings Tracker” app has a friendly user interface to allow you to add and view your expenses easily. Along with this, the app user controls are smooth so you can add your expense transactions with ease. 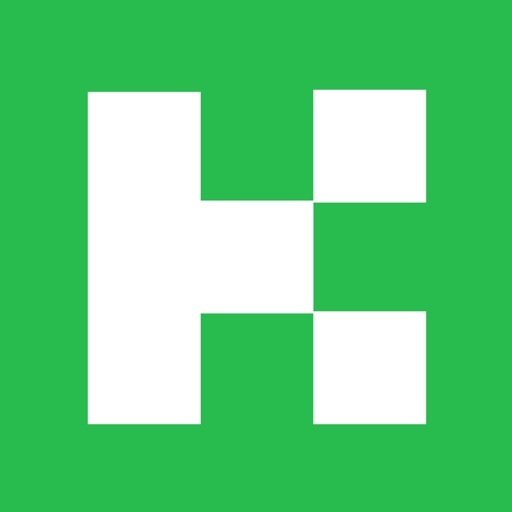 Hysab Kytab works as an expense tracker. It keeps track of you all money transactions and activities which enables you to have a better and honest understanding of your spending pattern. Hysab Kytab basically draws a real and clear picture of your finances. Hysab Kytab helps you to build saving habit. It offers you an immensely helpful option (Saving goal). With the help of this option you can set saving goals with Hysab Kytab. When you set saving goal you indirectly start doing optimum utilization of your money and restrict your impulse spending. Charts and reports give us better understanding of our financial position. Hysab Kytab prepares charts and reports of your spending. So that you know at exactly what category you spent what percentage of your budget. All these expense management features on the Hysab Kytab app are available for free! So, what are you waiting for? 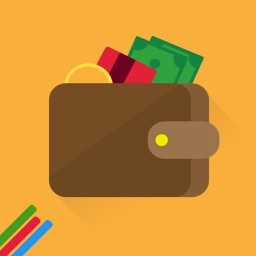 Download this outstanding personal money manager app - “Hysab Kytab: Budgeting, Expense & Savings Tracker” now to manage your budget better and more effectively.